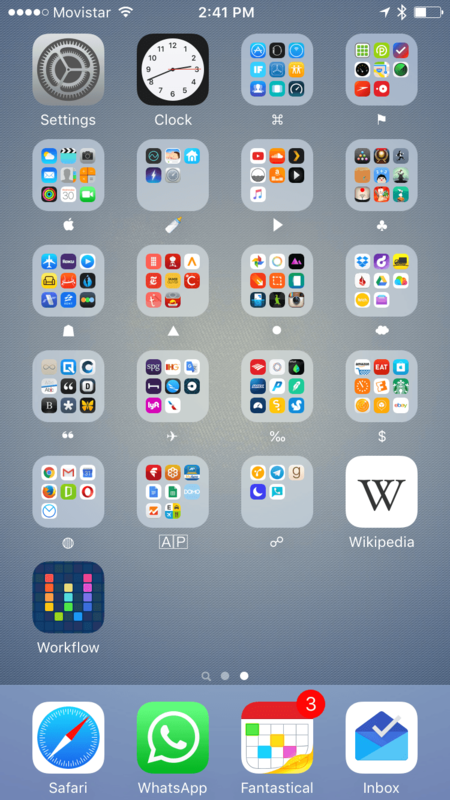 How to organize apps and folders is an ongoing experiment of mine. After 6 years, I have more or less a stable solution for the second home screen. ⌘ System: Anything that can be filed as utilities or tools. ⚑ Location: Parkings apps, OpenTable, etc. 🍼 Baby: You guessed it, Robie related. ▶︎ Media: Audio, video, etc. ☗ Home: Roku/Apple TV, weather, plane finder. ▲ Cooking: The triangle means heat in my head. ⦁ Photography: It’s like a camera lens! ❝ Writing: Please quote me. 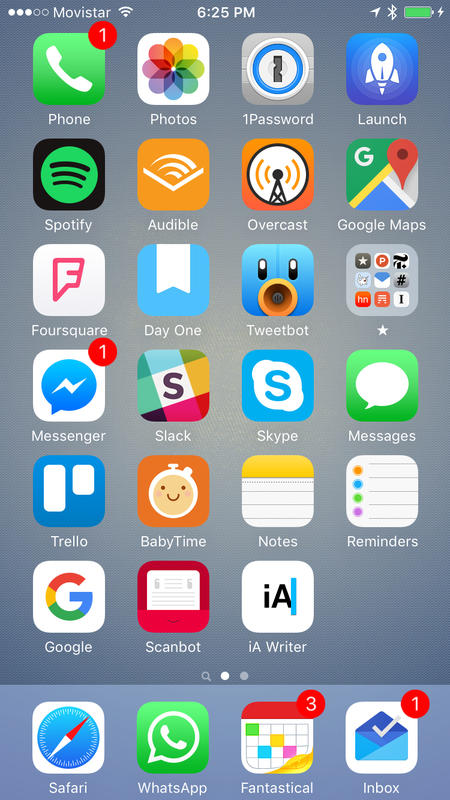 ✈︎ Travel: Getting there is half the apps. ‰ Finance: Banks and anything that has my money. $ Stores: Everything that wants my money. ◍ Web: Browsers and other web apps. Any other app left outside is something I’m playing with but hasn’t found a place in the main screen1 or any of the folders.